When it comes to audience engagement, the landscape has been completely rewritten. Media and entertainment companies need to embrace new technologies to achieve revenue goals. 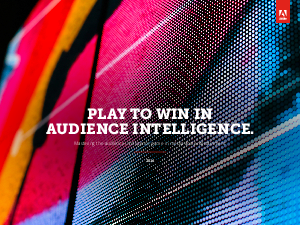 The Adobe guide, Play to Win in Audience Intelligence, shows you how.